In California, assault with a firearm is defined under Penal Code 245(a)(2). The underlying crime is simple assault under PC 240 but carried out with the use of a firearm. This charge is a wobbler offense which means it can be charged as either a felony or misdemeanor. The prosecutor holds the discretion in determining whether to file charges as a felony or misdemeanor. Factors the prosecutor considers when determining whether to file charges as a felony or misdemeanor is your prior criminal history and/or severity of the current offense. Fortunately, if you are convicted of this charge as to a felony, you may be eligible to have your conviction reduced to a misdemeanor pursuant to PC 17(b) upon successful completion of your sentence. The consequences for a firearms conviction, especially used in an assaultive manner can carry substantial consequences. In fact, if convicted under this statute as to a misdemeanor, you must serve a minimum of 6 months in county jail. Furthermore, you could face an additional years in state prison based on the mere use of a firearm. If you have been arrested or accused of assault with a firearm, contact an experienced Orange County Criminal Defense Attorney immediately. 5. Defendant did not act in self-defense. What are the Legal Defenses to Assault with a Firearm? What is the Punishment for Assault with a Firearm? 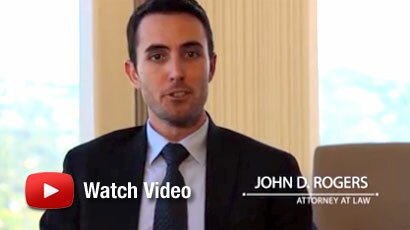 If you or a loved one has been arrested or charged with assault with a firearm, contact an experienced Orange County criminal defense attorney at the Law Offices of John D. Rogers. 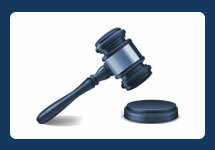 Call us today to schedule a free confidential case evaluation concerning your rights and defenses.